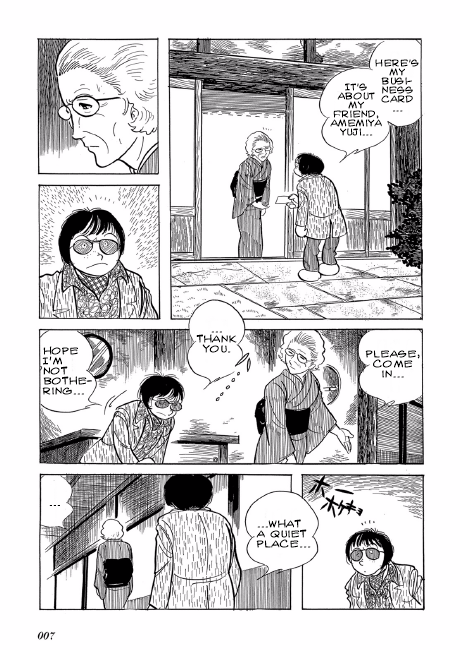 Shotaro Ishinomori, born Shotaro Onodera, (January 25, 1938  January 28, 1998) was one of the most influential men in Japanese entertainment, being dubbed "the King of Manga" and held the title in drawing more comic pages than any other manga author. In his youth he was the president of a manga study group and got his first big break working as an assistant to Osamu Tezuka himself (who famously remarked that Ishinomori, then going by the name Onodera, resembled a talking potato) on the Denkou The Invisible Robot story in Astro Boy. On the manga and anime side, he created Cyborg 009, which was one of the first animated super-teams. But more famously in the west, he created Kamen Rider, one of the major live-action Tokusatsu franchises. KR was based on Ishinomori's Skull Man manga, which is now currently being remade by his protege, Kazuhiko Shimamoto, who was specifically commissioned to do so. He also created Himitsu Sentai Goranger, launching the Super Sentai franchise, which stands alongside Kamen Rider as a major live-action Toku franchise, though he had little to do with it after J.A.K.Q. Dengekitainote In fact, Goranger and JAKQ were merely considered spiritual predecessors to Super Sentai for a long time instead of actual installments. Due to the large number of superheroes he created, many of them were much grimmer and more "realistic" than what the competition was putting out at the time while still retaining an endearing sense of over-the-top garishness. A manga based on David Bowie, with appearances from Mick Jagger! 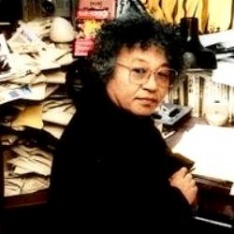 Author Avatar: In his manga Ishinomori would often pop up as a super-deformed, round headed bald character, sometimes as a Creator Cameo or as this trope. In some cases he would draw himself slightly more realistically, like in the 1978 manga ''Peeping through a fusuma'' ◊, where he appears in the prologue and epilogue As Himself to provide the Framing Device for the series, or in his 1994 comedic adaptation ◊ of the Kojiki, in which he appears for a couple of panels to make an Aside Comment about a particular moment of the story, leaving O no Yasumaru confused about what just happened. He appears as a fisherman and Mr. Exposition in the Kamen Rider BLACK movie and a scientist in Shin Kamen Rider: Prologue. In the original Japanese version of Daikyouryu No Jidai he voiced the father of the main character. Henshin Hero: The undisputed king of this trope. Hollywood Cyborg: Who needs radioactive spiders or cosmic rays when there's tons of perfectly "realistic" ways to give your heroes superpowers? Like lots and lots of transistors. 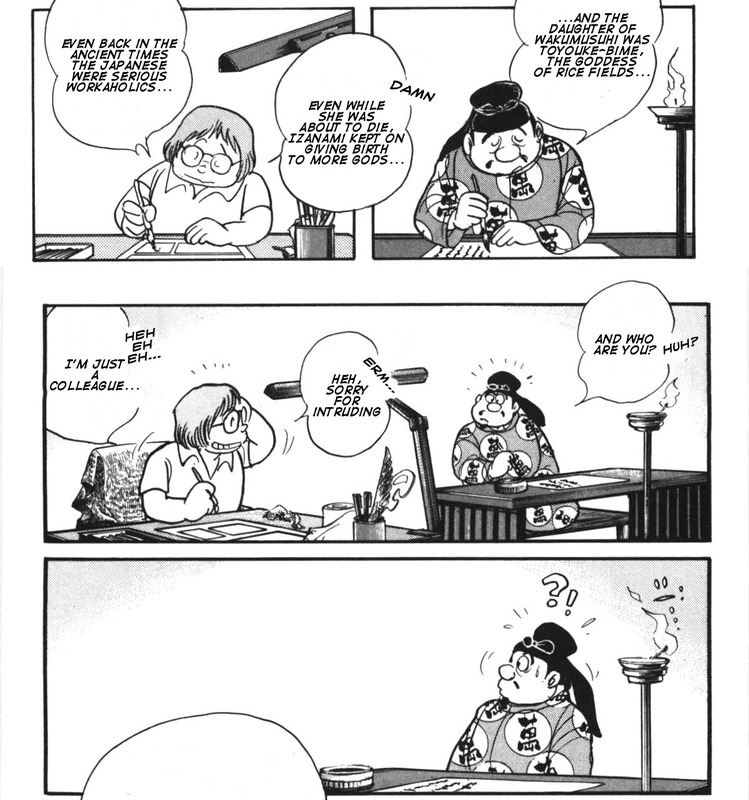 Phlebotinum Rebel: A recurring theme in many of his works, starting with 009, Ishinomori could be considered the patron saint of this trope. Playing with Syringes: By the same token, his bad guys tend to resemble the stars of a Medical Fetishist's wet dreams. Reused Character Design: While each manga drawn by Ishinomori sported a Cast of Snowflakes, he also tended to reuse quite a few character models through his various series, with the doctor Gilmore, 004 and Jun lookalikes being the most recurring and recognizable ones. Partially justified due to the sheer quantity of stuff he drew in his career, and by how it would also be a visual cameo of his style. Saintly Church: Ishinomori's depictions of Christianity were always very respectful. Same Face, Different Name: In 1959 he illustrated a few shoujo manga using two different aliases - the first, Kintoki-san, as Teiko Minami, and another couple of short stories (Tai-chan and Sei-chan) under the name Asuka Izumi. Two years prior, in 1957, he illustrated a manga written by Fujio Akatsuka, Sono kamen wo tore! (Take off that mask! ), which they signed with the portmanteau name Fujitaro Ishizuka. Yuusuke Onodera, the new Kuuga in Kamen Rider Decade, has Ishinomori's original surname; Shotaro Hidari, the hero of Kamen Rider Double, obviously shares his first name. Kamen Rider X Kamen Rider Wizard And Fourze Movie War Ultimatum's theme song is named "Forest of Rocks", a direct English translation of "Ishinomori". In Kamen Rider Ghost, Ishinomori is one of the historical figures that Ghost can draw power from (potentially, anyway; the Ghost Driver is programmed for it but Drivers always have extra sounds that are never used in the show). A minor character is also named Onodera, the same as Decade's Kuuga was.